It is week 4 of the One Room Challenge! If you are stopping by for the first time, the One Room Challenge is where 20 designers make over a space in 6 weeks. We can join in the fun as guest participants. I am taking over my son's old room and turning it into a sewing studio so I can have a space dedicated for sewing. I hope to open an Etsy shop really soon! Since I decided to throw my hat into the ring a day before the One Room Challenge began, I didn't line up sponsors so this room is being made over on a tight budget. Want to start from the beginning? Follow along starting at week 1, week 2 and week 3. Not much progress has been made since last week. I have to admit I procrastinated. What did get finished, and it took me over a week was the $100 cabinet is done! FAT paint has generously sponsored the project. I was hoping to have a tips and tricks post set up, but I literally finished the cabinet on Tuesday. Hopefully I can get something set up for next week! Here is a sneak peek! 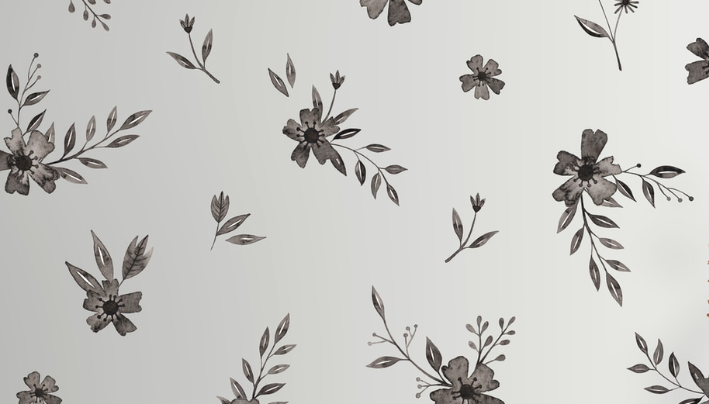 Urban Walls is also sponsoring my One Room Challenge makeover and a decision has been made on floral decals. I am going with the black and white flowers. 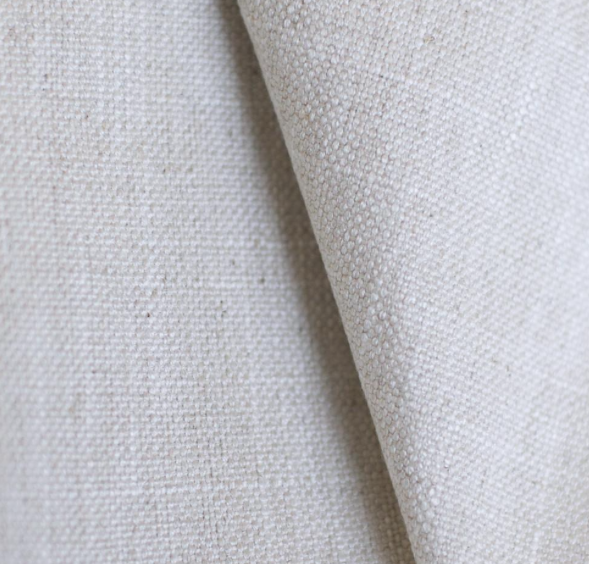 Fabric arrived from Tonic Living on Friday, and this week a soft sided Roman shade is being whipped up. I have a few pillows to sew to give the bed a daybed look. 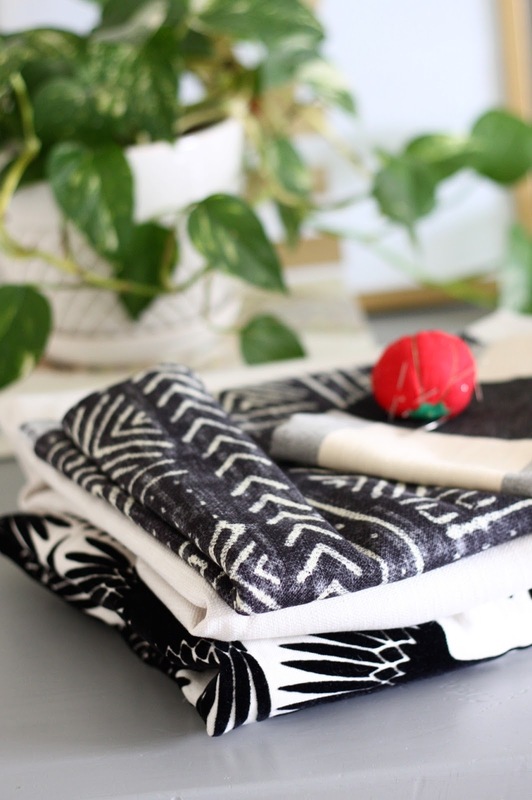 Here is a peak at some of the fabrics being used! I may or may not hang up drapes. Artwork is being collected. 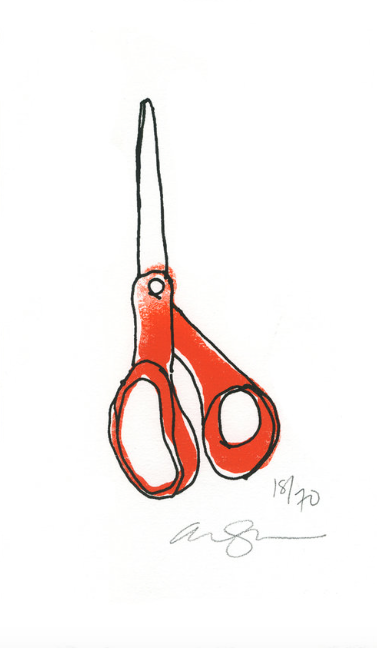 Of course my favourite scissors print from Alanna Cavanagh is framed! Nicole from Visual Heart created a custom piece that is getting printed. Now I need to source some more frames since Ikea was a dead end. They have a shortage on Ribba frames in black. Just my luck. Need to re-paint my sewing organizer! This week is the final stretch as I have to photograph the space next weekend. GULP! Be sure to visit the One Room Challenge website and visit the other blogs who are guest participants. They are soooo good! Be sure to follow my adventures on Instagram and Facebook where I share behind the scenes on Instastories! 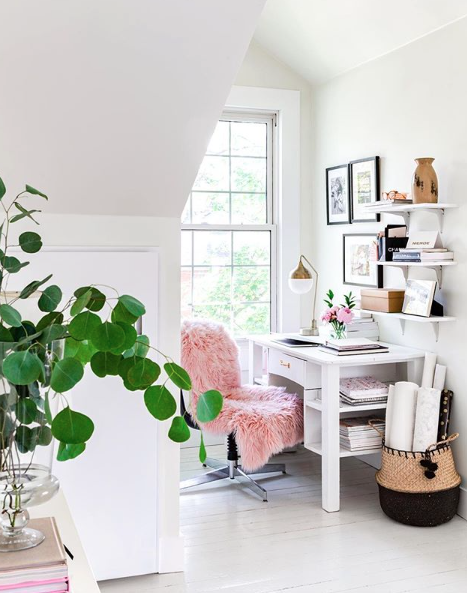 Welcome to week 3 of the One Room Challenge! If you are new, the One Room Challenge created by Linda from Calling it Home follows 20 designers as they makeover a space in just 6 weeks! I am participating as a guest participant! The space I am working on is converting my son's old bedroom into a sewing studio all while sticking to a very low budget. We are renting our home so we can't move walls, add moldings or change the carpeting. This room is getting transformed with paint, fabric, furniture and accessories! Want to read from the beginning? Here are week 1 and week 2. No pretty pictures yet. Things are moving along but the room is in a state of chaos. I found a beautiful cabinet on Facebook Marketplace for $100! It received several coats of Raven by FAT Paint, one of my sponsors for the ORC. 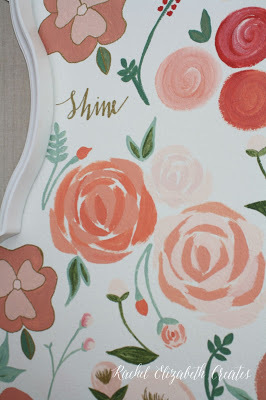 FAT paint is a chalk paint made locally by a good friend of mine! Next week I will share tips, tricks and how-to use FAT paint. Fabric has been ordered from Tonic Living and is set to arrive any day now. I will be sewing a outside mounted roman shade for the window. In addition, I'll whip up some pillows to create a day bed out of my son's old bed. This past weekend, I ventured into Ikea to get picture frames and they were all out of most Ribba frame sizes in black. Apparently they are out across Canada and aren't getting a new shipment until June. So now I venture to other big box stores to track down what I need. I did manage to find a lamp for my sewing table! Another fabulous sponsor for my room makeover joined in the fun is Urban Walls. My original idea to paint a floral wall is now being replaced by rental friendly floral wall decals. Still have a list of things to do to get this room finished! Make sure you visit the One Room Challenge website to see how other guest participants are up to! I've decided last minute to join in the latest round of the One Room Challenge as a guest participant. Last spring I joined in and then disaster struck with my dining table. I didn't manage to finish the room in time and, it's still not 100% complete. But with the encouragement of a friend, I have decided to start selling throw pillows on Etsy (hasn't been launched yet) and need a space dedicated for that. With all of our kids out of the house, I decided to take over my son's room and turn it into a sewing studio! Since we are renting, you won't see fancy mouldings or new carpeting. This will be a budget makeover! I am excited to create a space dedicated for my sewing! If you Google "sewing studio" you either get a utilitarian space or one for the quilter with gads of fabric scraps and lots of turquoise. Not sure why that seems to be the chosen accent colour? I hope to create a calm and bright space and add a touch of feminine. Do I have a plan? Sort of. I have a vision in my head but who knows what I will end up with! Follow along. Here is the space in it's current chaos. Hoping to paint something like this on the wall! See the turquoise? Anywhooo, follow along and see where it ends up! If you want to see other spaces as they evolve check out the One Room Challenge page!